India’s popular 2-wheeler manufacturer, Bajaj has launched a new motorcycle called Bajaj V15 today which is claimed to be exclusively made of metal from India’s first naval aircraft carrier INS Vikrant. The all new V15 from Bajaj being the special motorcycle creates an entire new segment in the Indian two wheeler industry. 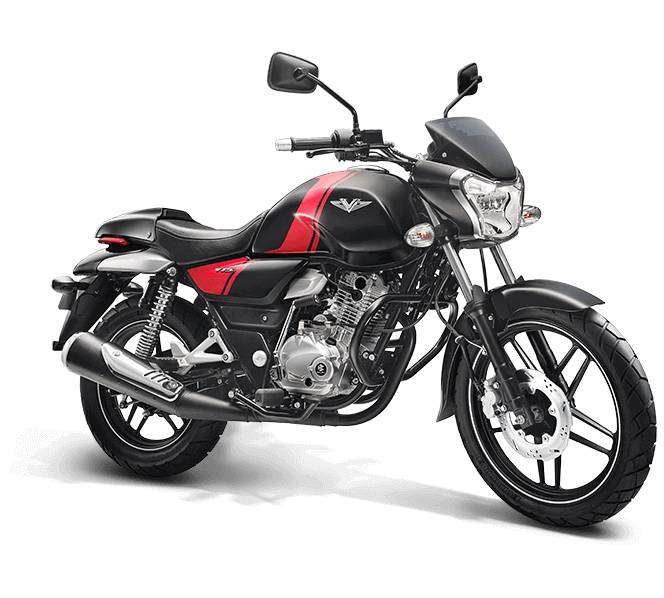 Bajaj is doing well in both entry-level and high-level segment, so in order to be aggressive in the mid-level segment, Bajaj has introduced the V15 motorcycle in India. The Bajaj V15 bike is placed between the popular Discover and Pulsar. At the first glance, one could notice the striking design derives inspiration from military equipment. A well made bikini fairing gets a V shaped headlamp plus the pilot lamps. The pumped up fuel tank of the V15 carries the V insignia whilst the V15’s seat gets pillion cover. The all new Bajaj V motorcycle gets the tagline – “The Invincible“. Bajaj Auto proudly claims that the V is no ordinary machine and has an upright stance that exudes solidity and attributes that epitomize the invincible INS Vikrant whose metal it contains. Bajaj V15 motorcycle gets a mighty DTS-i engine at its heart, and a whole range of other class leading features, this is a machine that’s born to stand tall. 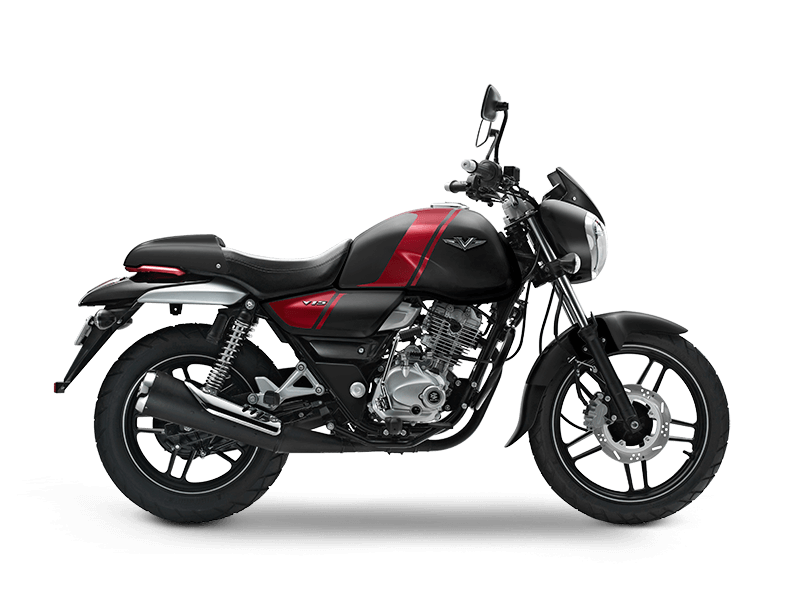 The all new Bajaj V15 is powered by one cylinder, 4 stroke, SOHC 2 valve, Air cooled, DTS-i engine. The engine capacity is 149.5cc. The V15 motorcycle delivers 12 bhp of power at 7500 rpm and 13 Nm of torque at 5500 rpm. Talking about the suspension of V15, The bike gets the telescopic front suspension and Twin-spring loaded hydraulic type suspension at the rear. When it comes to the braking department, there is 240 dia disc brake in the front and 130 dia drum brake at the rear. Mr Rajiv Bajaj revealed that the production of Bajaj V15 motorcycle starts from February 5th onwards at their manufacturing plant. 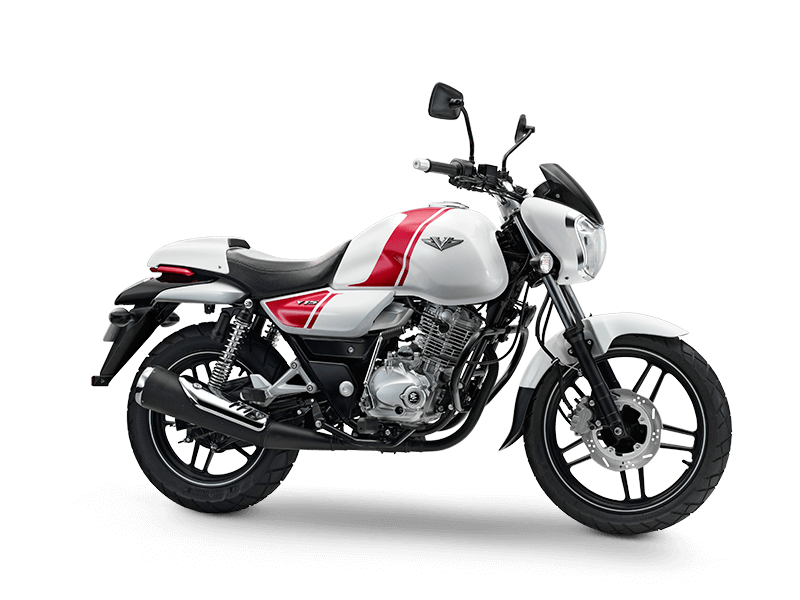 The deliveries of Bajaj V15 motorcycle will be done in the month of March. Bajaj Auto is looking forward to manufacture 20,000 vehicle units per month. The complete details of Bajaj V15 motorcycle was revealed during the Bajaj’s press event. However there was no official confirmation on the price of Bajaj V motorcycle yet. Addressing the media, Mr Rajeev Bajaj revealed that the price of the bike would be between 60,000 Rs to 70,000 Rs. You can find more details on Bajaj V15 motorcycle by visiting their official website.